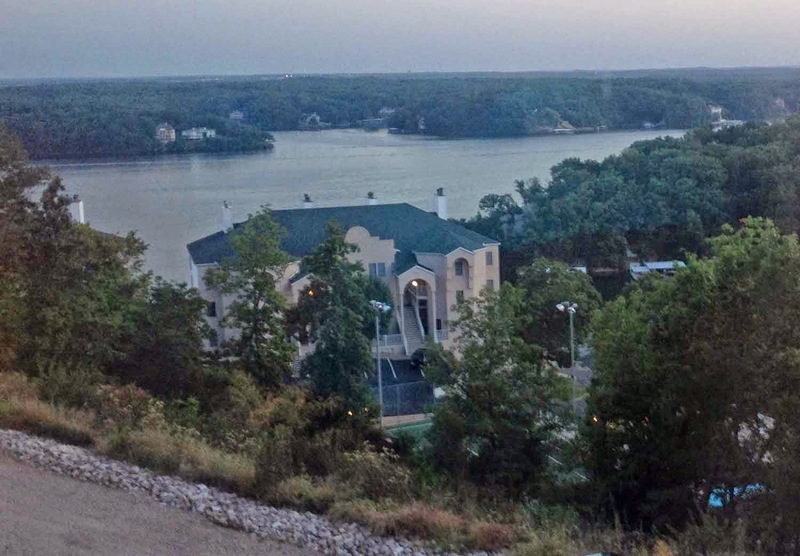 I started the day at Country Club Hotel and Spa in Lake of the Ozarks the best way possible, with a morning massage. My friend Jaimee and I had plenty of time to relax in our spacious junior suites before heading out for our first appointment. We had lunch and cocktails on the water at Dog Days (look for my story in the spring issue of Midwest Living ). We had a free afternoon for exploring the Lake of the Ozarks area and we took advantage of the time. 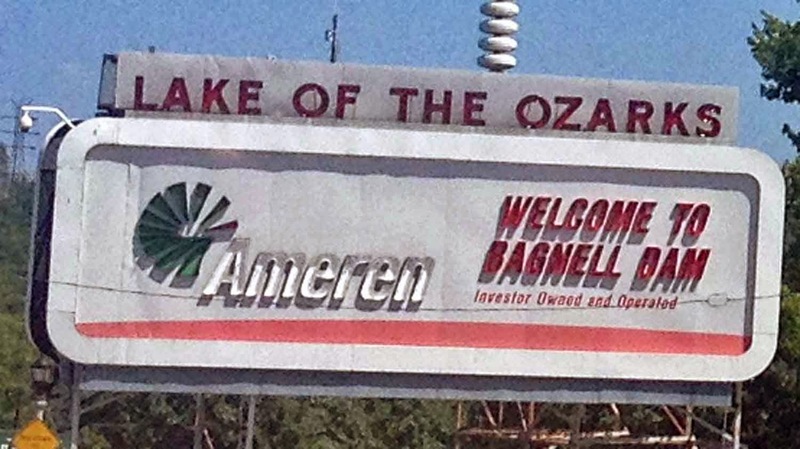 We drove down to the Bagnell Dam Strip. 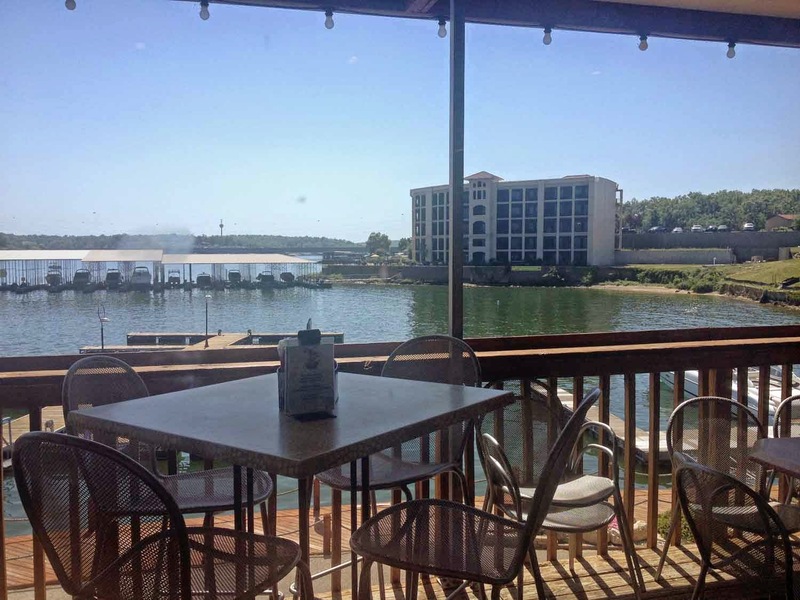 Along with the typical souvenir shops and tourist restaurants, from here you can also take cruises out to view the dam and the Ozarks by water. We made a brief stop at the Osage beach Premium Outlets, the largest center of its kind in Missouri. 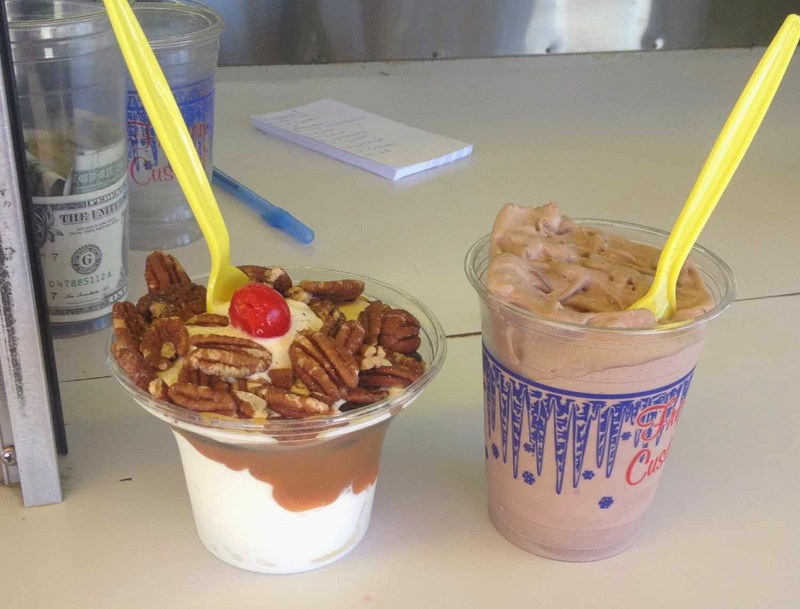 We picked up a few bargains and then stopped at Randy’s Frozen Custard across the road. Frozen custard is one of my biggest weaknesses and this place did not disappoint. Their famous Turtle Concrete was amazing! We went back to the Country Club Hotel & Spa for a while to catch up on some rest and to digest before our big dinner. I had heard great things about both the chef and the restaurant. 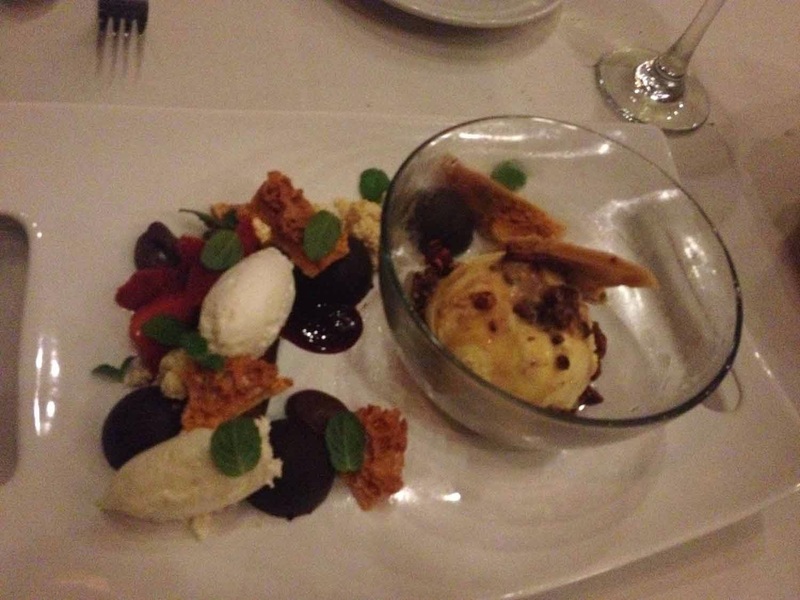 It was only a short drive to dinner at Savannah Grille, where Chef Robert Sills is known for his use of fresh and local ingredients. He came out to greet us as soon as we arrived and helped us make some menu choices, though it looked like we wouldn’t go wrong with any of the choices. 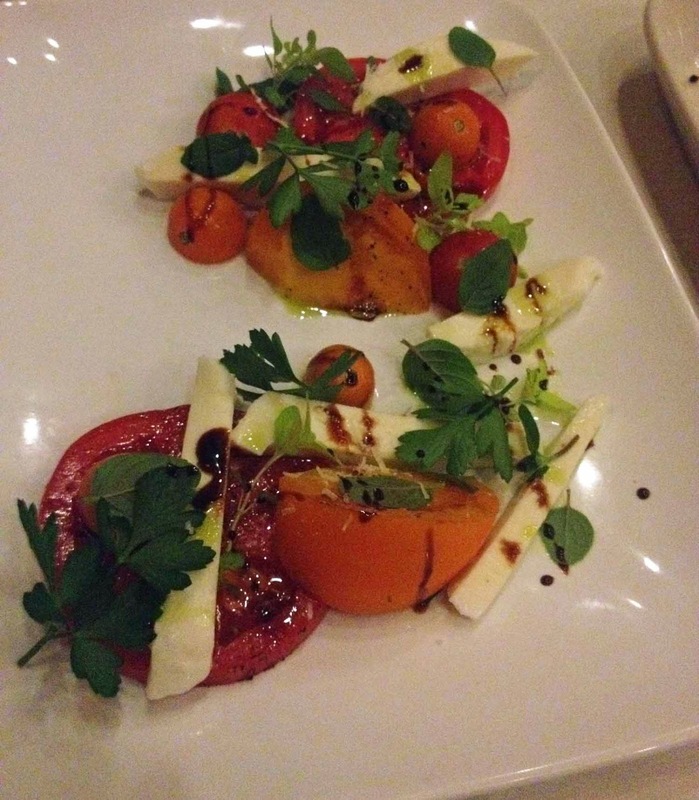 We started with a tomato salad which was fresh from the garden and garnished with goat cheese. Then, Jaimee had a lobster bisque while I picked the onion soup. 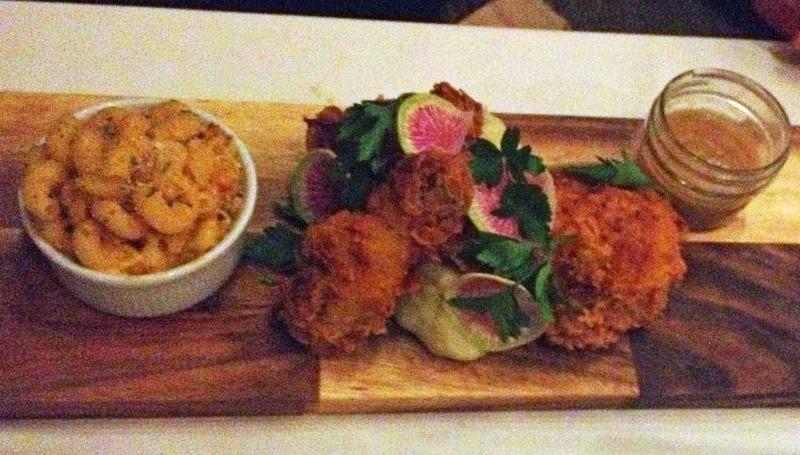 Jaimee had the Savannah’s Southern Fried Chicken and Macaroni & Cheese and we both agreed (I couldn’t help but to sample) that it was delicious. 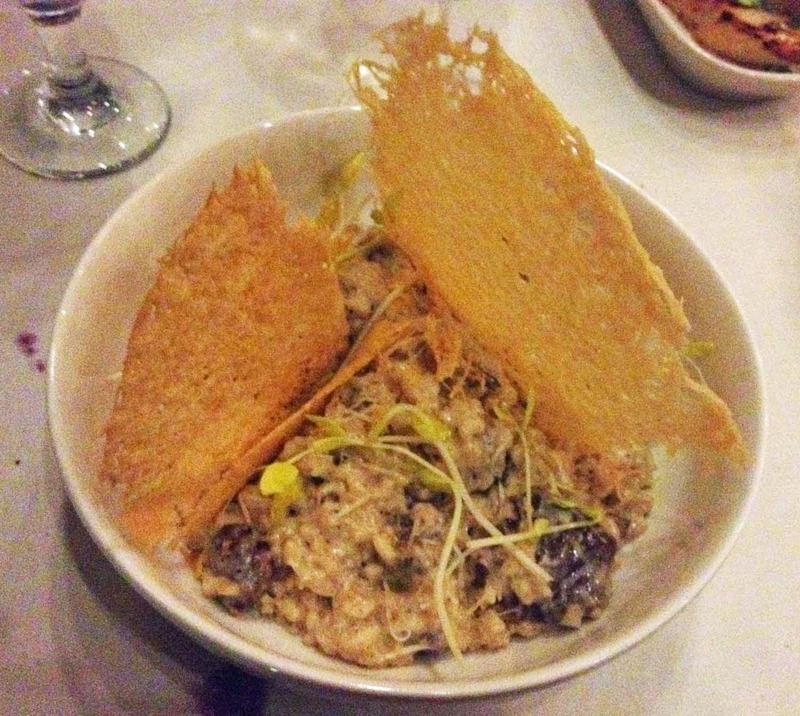 I really enjoyed the Wild Mushroom Risotto, with black truffles and parmesan crisps. Dessert was a scrumptious selection called “Candy & Cake.” It included a gooey chocolate cake, a cocoa and coffee mousse, strawberry coulis, honey comb, lemon curd, and a dark chocolate filled with peanut butter. We headed back to the hotel fully stuffed from a day of eating. It was time to get a good night’s sleep before the Missouri road trip would continue up to Big Cedar Lodge in Table Rock.